There was a two year old who was so terrified of dogs that even when she saw one while riding in the car, she went into hysterics. Since she had never been bitten, or had any other traumatic experience, her parents decided that something should be done and adopted, Lady, a three year-old white springer spaniel from the pound. She was small and calm and perfect to introduce to the scared two year-old. They got to know each other slowly over a few days and by the end of the week, they were best friends. Not only did she become a dog lover but she has rescued and helped rehome dogs and now encourages others to do the same. In 1982, the only option for adopting a dog was the county pound, which was located next to the county dump. A lot has changed since then. They are no longer called pounds, but animal shelters. Most of them now attempt to be no-kill. But, most importantly, there are many non-profit organizations that rescue from puppy mills and kill shelters. 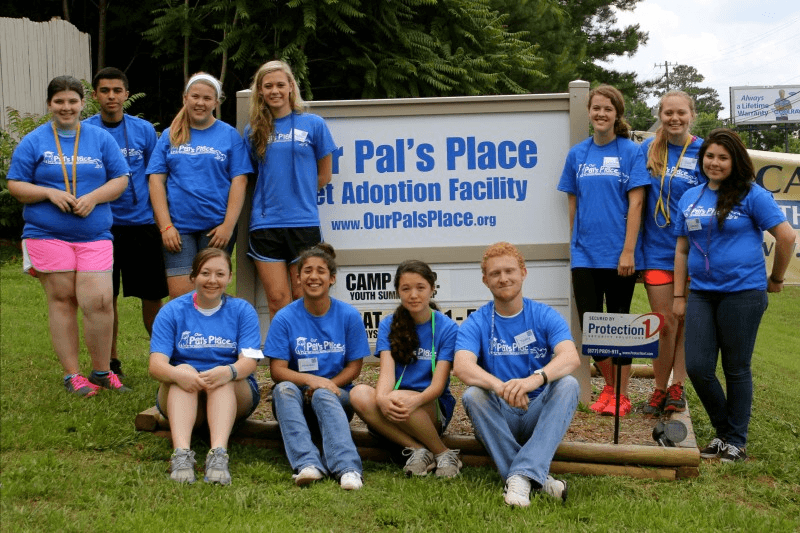 One such organization is Our Pal’s Place (O.P.P.) located on Canton Road in Marietta. Their mission is to bring about a time when all animals are treated with kindness and compassion. Gi Gi Graves and her husband were long term supporters of a rescue organization in Utah and took a trip out to tour the facility. Upon returning, they realized how much good this organization did for the animals, but noticed that it was not run as a professional business. At the time, Gi Gi went from working for a privately held firm to being part of a huge, publicly-traded international firm. As she grew more and more frustrated with this structure she and her husband decided to implement a plan for their own non-profit organization for rescue dogs. Together, with two friends, they opened the doors to Our Pal’s Place in 2004. In 2005, they purchased the facility at 4508 Canton Road in Marietta. The organization is run completely by volunteers who go to the kill shelters and evaluate the animals for intake. Upon the intake evaluation, the animals higher on the euthanize list are evaluated first. Most are sick and unfit for adoption, so O.P.P. will take them out of the shelter, get them vet care, and then begin the process of socialization for adoption. Unfortunately, some dogs, for one reason or another cannot be saved. Although O.P.P’s primary visits are to the county shelters located here in North Georgia they also partner with the National Humane Society and will travel in times of need. 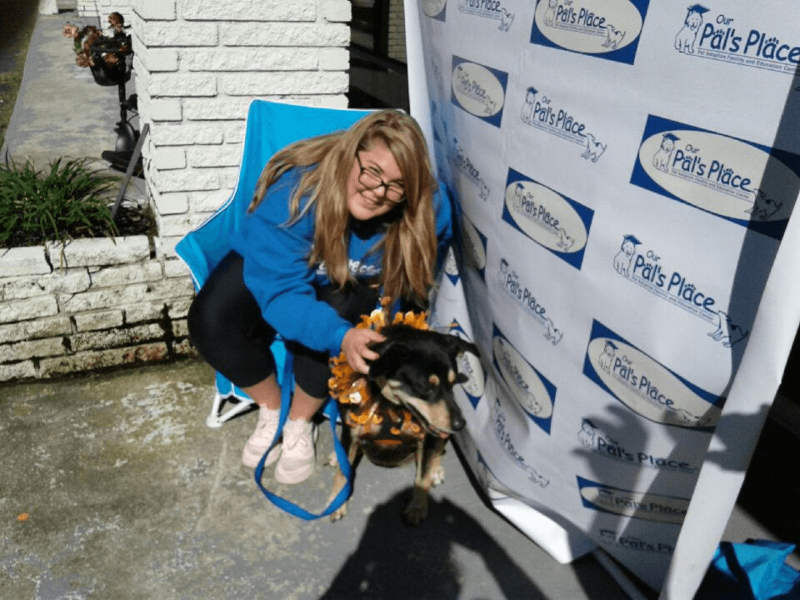 One group of volunteers went to New Orleans after Hurricane Katrina, and participated in the search and rescue that brought several dogs and cats back to Atlanta to be rehomed. Another huge component of O.P.P. is education. Kendra is the Director of Education, and oversees several ongoing projects there. Once a month, O.P.P. goes into a local elementary school and works with 3rd, 4th, and 5th graders teaching them the proper way to approach a strange dog and learn the body language and and nonverbal communication between animals and humans. They also teach age-appropriate lessons on the importance of spaying and neutering. O.P.P offers summer camp in June and July, which is a more hands-on and interactive part of the education. O.P.P. also provides training classes with the humans and the new family members to ensure a more seamless integration. One very impressive aspect of this organization is the realization that customer service is of the utmost importance. They strive daily to ensure the adoption process is easier and more enjoyable than some shelters make it. The philosophy is, if we as an industry make it too difficult to adopt, then customers will go to the mall stores to purchase their dogs. This is not to say that a person just comes in and pays a fee and leaves with their dog. O.P.P. strives to make sure it is a good dog-human fit and asks many questions to assist with the procedure. Some dogs need a house with a yard, or to be the only animal in the family, and some do not take to children readily. These things need to be considered before the adoption is finalized. O.P.P. even offers a trial period of one week and if the dog does not acclimate for whatever reason, or there are other unforeseen issues, O.P.P. will gladly reverse the adoption. It is the general welfare of the adoptee and the adopter with which this this organization is mainly concerned. One successful adoption is that of Kim Korn and her family, who had several connections with O.P.P. One of her colleagues was a loyal volunteer and spoke to the Korn family about their program. Her daughter went to the summer camp and then volunteered on weekends with the organization. She would often suggest matches to family friends and other prospective families. 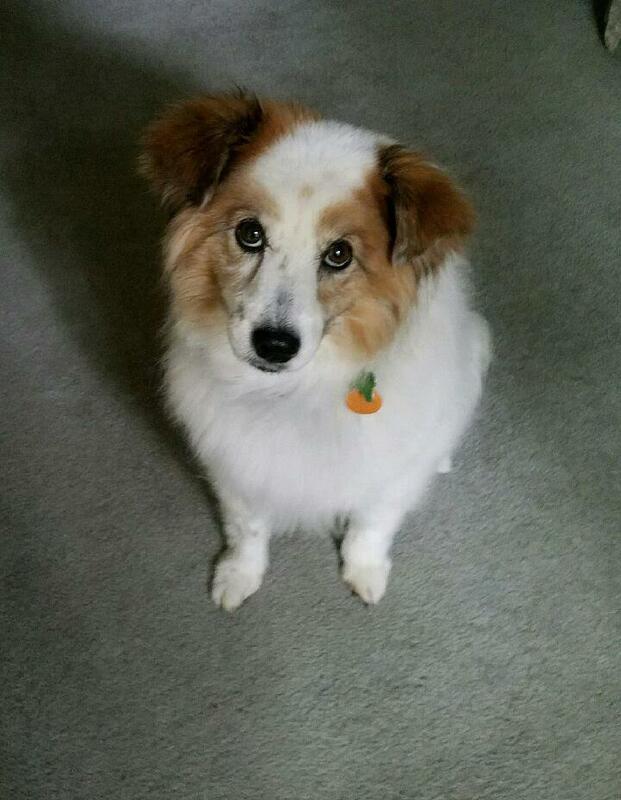 Although the Korn’s already had one rescue dog, they ended up adopting Darby, a border collie mix, who is now happy a member of the family. Our Pal’s Place is a non-profit organization, but they have a for-profit business that helps with the support of O.P.P. It is an upscale thrift store located 3.5 miles away at 2568 Canton Road in Marietta called Re-Home Super Store. If you are looking to furnish or accessorize your home, you can find great items at equally great prices, and much of the proceeds go to help dogs that have heartworms and other medical issues. Their store manager is Tina, a beautiful white English Bulldog who was overbred, and is now able to greet customer and enjoy the attention and adoration of everyone who walks into the store. O.P.P. is excited to be a partner with Atlanta’s Rescue Dog Olympics. The event will be held in Piedmont Park on March 10, 2019. There will be costume contests, exhibitions, and vendors. All dogs and their humans are welcome for this day of fun, special events, and swag! !